Four conditions should be met if we want to make citizens’ consultations a success and avoid turning the greatly anticipated initiative launched by France’s President Emmanuel Macron and backed by 26 countries into a boomerang, which would irremediably drain trust in the EU project, writes Thierry Libaert. Thierry Libaert is a member of the European Economic and Social Committee and the point of contact for the French delegation. A university professor, he is also vice-president of the think tank, ‘La Fabrique Ecologique’. Europe has long been the ideal scapegoat. To be fair, this criticism had – and to some extent still has – considerable justification. From the controversies surrounding the former president of the European Commission, José Manuel Barroso, to errors in dealing with matters of public health such as glyphosate, the European Union has often presented a pitiable image to the world. Its poor reputation has been reinforced by the natural tendency of national governments to take credit for successes while ‘Brussels’ is given the blame for difficulties. Although Europe manages a budget of €160 billion, it remains the only large international institution to possess no system for managing communication, worth talking about. Each separate European institution has its own communication strategy, essentially aimed at presenting their activities in the best light. 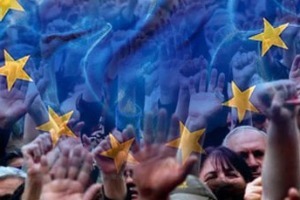 Nevertheless, even in the absence of deliberate action, views about Europe are evolving. Recently the confidence of citizens in Europe has jumped by eleven points, whereas those who declare a lack of confidence have diminished by eight points (Eurobarometer figures, 2017). 47% of Europeans have confidence in the European Union as against 46% who do not have confidence. The margin is tiny but the reversal of direction is highly significant. Contrary to what is popularly believed, we have more confidence in Europe than we do in our national governments. In many countries, the growth of populist parties seems to have reached its limit. The demonstrable skill of these movements in terms of channelling popular discontent is starting to be significantly counterbalanced by their inefficiency in managing public affairs, whenever that opportunity has been presented to them. Brexit provided an electric shock of lasting impact. It has allowed remembrance of Europe’s numerous benefits (freedom of movement, social rights, the euro, Erasmus etc) and, more generally, awareness of the dangers of a drift towards isolationism. The continued existence of a threat on the eastern borders of Europe, vague but real, is now linked to a perception of immense chaos in the United States. For the first time since the signing of the Treaty of Rome in 1957, Europeans are discovering that in the future they may be able to count only on themselves. It is within this new context that the project for public consultations has been launched by France. These consultations will take place from March to October in 26 out of 27 member states. The idea of putting citizens at the heart of this movement for relaunching Europe is only to be encouraged. A strong Europe should be a Europe of peoples rather than of governments. Over time multiple debates will be launched offering room for expression and exchanges of opinion around the European idea. Establishing civil society as the bedrock of the new European dynamic is hard to disagree with as a concept, but for it to be truly effective, four conditions should be met. Firstly, it must be clear that the purpose of these consultations is to provide the fresh momentum of benefit to Europeans themselves. Member states remain watchful in matters of their own sovereignty. The least perception that consultations are essentially a French initiative for partisan ends, aimed principally at the next European elections, would undermine confidence in the whole initiative. Secondly, these consultations, must as far as possible, be comprised of real dialogue taking place in real spaces. Establishing digital platforms would allow expression of views, but it would not encourage dialogue. In order to debate European ideas, real dialogue is needed. If that opens up the risk of confrontation, it is nevertheless the only route towards a true consensus regarding the main aspects of public policy. These consultations must also represent as far as possible a full range of opinion, and must particularly represent different categories within the population. Awareness of Europe should not be limited to an enlightened elite but must be widely shared. Finally, it is essential that rapid feedback is arranged. Nothing would be worse than European consultations which seemingly lead to nothing: the soufflé, as it were, would collapse. Firm commitments must follow upon the consultations or trust will drain away and there will be danger of a boomerang effect for Europe. European Parliament must be canceled. EU citizens do not need and want EU praliament. European Parliament is expensive useless institution. EU must be a confederation on independent national states and such confederation do not need any European Parliament.